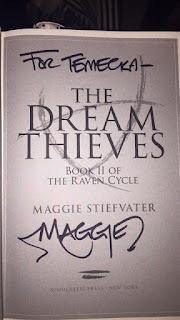 It comes to no surprise to anyone that Maggie Stiefvater is my favorite author of all time and that the Raven Cycle is my favorite series, taking the place The Hunger Games has held for five years. 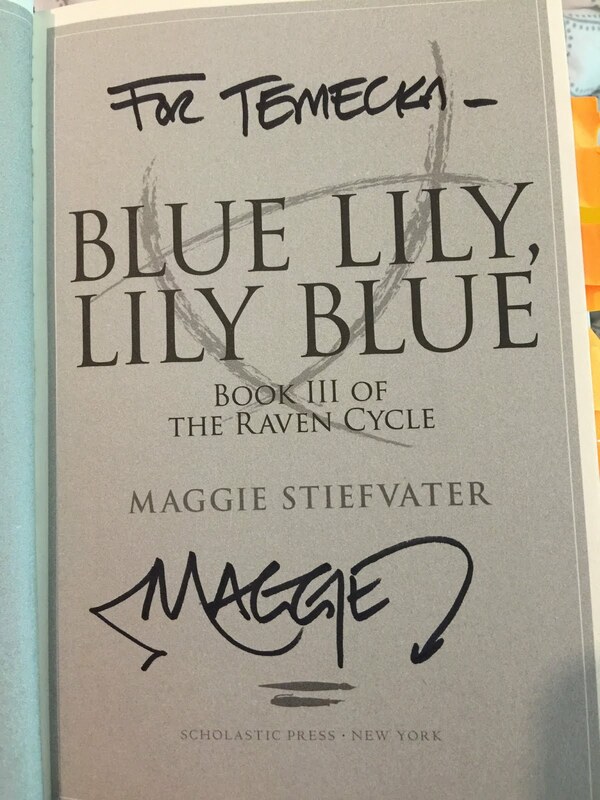 Meeting her was like coming up for air because since meeting her my view on my Raven Boys and the world has changed. 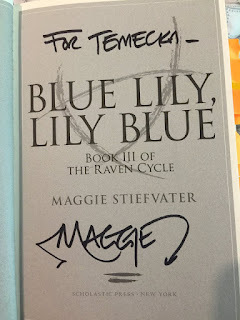 Recently on Twitter a fellow blogger was talking about how excited she was to meet Maggie Stiefvater, and I don't blame her. If I would have had a twitter for my blog at the time, my tweets would have been unreadable and endless letters and numbers threw into 160 characters. 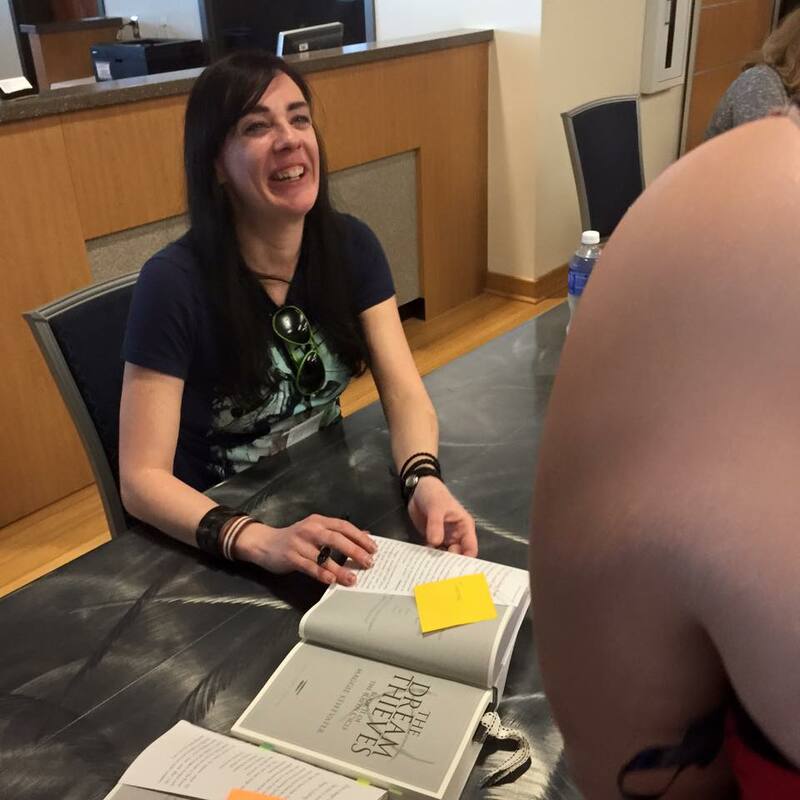 Her excitement reminded me how I felt when meeting Maggie Stiefvater for the first time, and it made me want to share my experience. When I found out that I was meeting Maggie Stiefvater, I knew that I was going to be writing my favorite piece I'd ever done for the Trail Blazer. The day I got back, I got on my computer and starting writing a piece that I never knew that I would love so much. I compared meeting her to meeting a best friend because that's what it felt like. 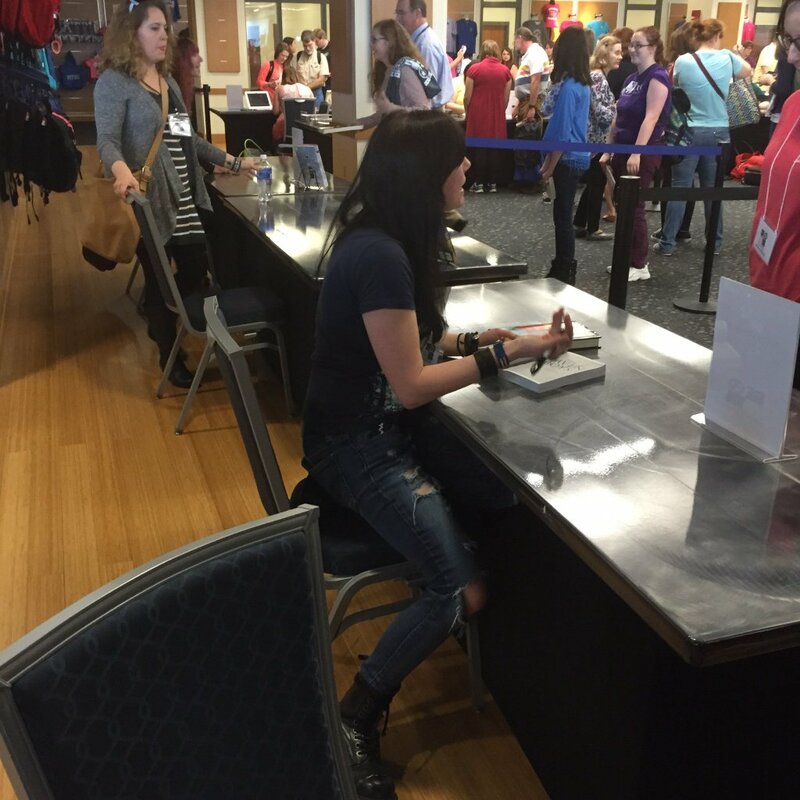 Honestly, as the hours ticked away and her signing time drew near, I felt my hands shake with anticipation. 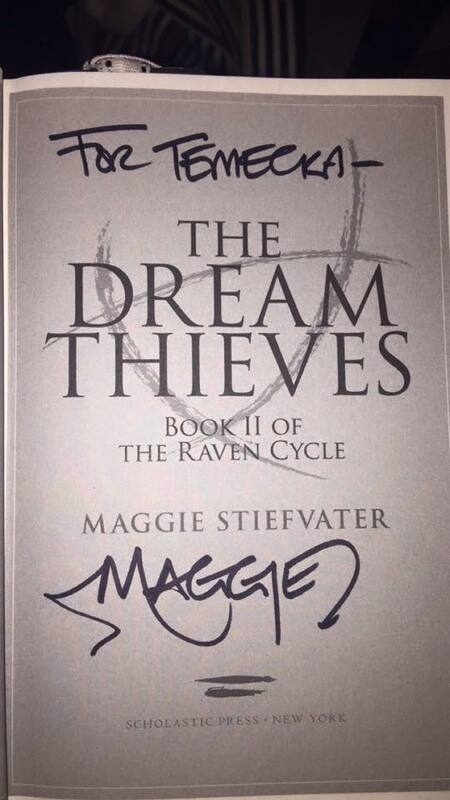 I was going to meet my favorite author and get to talk to her about all my feels. I keep repeating the phrase, "I'm going to explode." I wanted to scream as I watched her walk across the room. She, literally, took my breath away because I was 50 feet from her. Someone who created this world that consumes me was feet from me, and I was so shocked that I was lucky enough to be there. I had every fear imaginable going through my mind as the line in front of me shortened. I had a smile plastered to my face as I neared her. I told her I had "millions" of things I wanted to tell her, so I started with telling her about how Noah Crenzy is my favorite of all of her raven boys and that throughout the entire first book I pictured him as Tyler Williams, the actor of Noah on The Walking Dead. She even LAUGHED. She thought that I was funny, and I felt all my fears wash away. In the mist of rushing through telling her two things, I forgot to ask if she would write, "The Trees Speak Latin" for my first tattoo, but I am grateful to spend two minutes with her. Those two minutes may have seemed like two seconds, but they were truly the best two minutes of my life and I am not exaggerating. 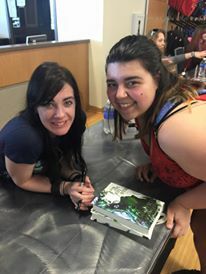 She signed my books, and let me take a picture with her. My entire life changed at that moment. I realized that just because she wrote these books and painted these stories with her beautiful words, she was still just a person. My favorite person. I will continue to support her throughout her career. I just hope that one day I can meet her again. After months of sitting on my experience, I can truthfully say that meeting her has overshadowed every accomplishment I've had and made since that day. Nothing will ever compare to the feeling of meeting someone who has fill your life with so much joy, love, hatred, and tears without even knowing you. Maggie knows exactly how to break my heart and mend it back again.